Omg you guys… I think I might have just created my new favourite dessert. This is a version of my Chocolate Skin Glow Mousse from Book 2 (you can find it here) and is made with the most clean ingredients! Took me 5 minutes in the kitchen and it tastes INCREDIBLE. Nutella fans – this is for you! Add all ingredients (except the toppings) into a blender or food processor. Blend or pulse until nice and smooth, adding a little more coconut milk until it reaches mousse-like consistency. 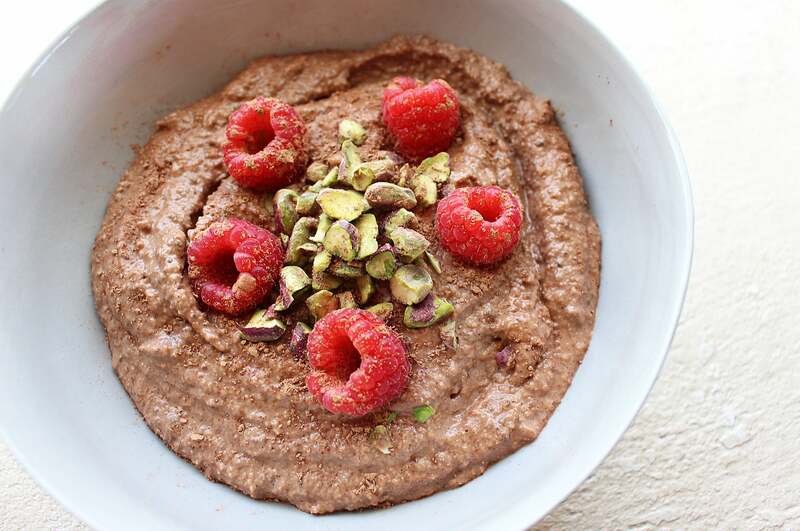 Spoon the mousse into four bowls or one large serving bowl. Sprinkle topping ingredients over the mousse and serve. This mousse keeps well in the fridge for up to 2 days so can be made in advance if you like.